Learning from around the world! I was super pumped for Kirsten Hansen’s, Adam Krammer’s, Stephanie Grand’s, Lorraine Wagner’s, Venessa Vogel’s and Sharon Flaman’s presentation tonight on Tools for Distance and Online Education. It was also very cool to meet Jade Ballek as I have been a huge fan via Twitter. The terms connected learning, digital literacy, the open movement, digital citizenship, digital storytelling, the anatomy of a tweet were inspiring and great learning topics for newbie tech teachers. We were introduced to ED tech guru @Sue Waters, where she taught us about creative commons and proper online commenting etiquette and tips. This open online concept truly blew my mind to online learning and all of the positive impacts of it. It pushed me as educator to share my resources and to make connectors with other language teachers. In fact the whole process encouraged me to pursue and complete my Master’s in Curriculum and Instruction. This time around while pursuing my Master’s certificate in Second Language Acquisition, I am using new distance online learning tools like Zoom. Again this whole process has opened my mind to even more learning. I can go into breakout rooms like we did tonight with other classmates and have meaningful discussions. Using tools for online education has had a big impact on myself as I am learning to blog again. It is something that I enjoyed doing in the past and it has rekindled my joy for writing and sharing learning experiences with others. It has also given me the time to re-connect / connect with other educators as well as learn new tools that are available for teaching. While teaching French Immersion and Spanish I would feel comfortable using these tools with my students such as Zoom especially for online / distance education classes. 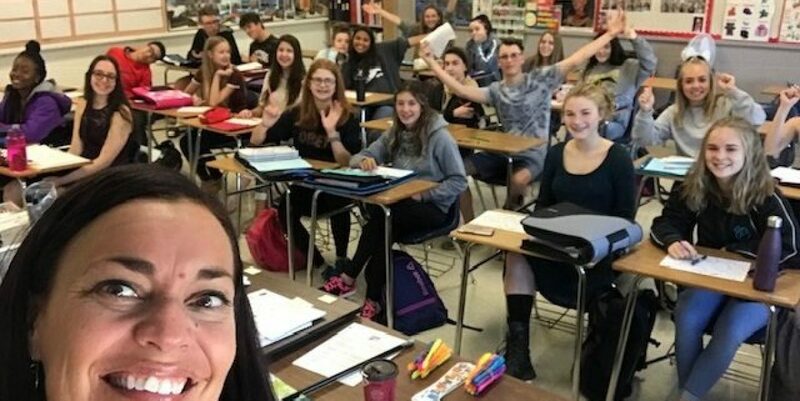 It would give my students the opportunity to connect with others who are learning a new or second language. Though I also believe my students would miss that face to face contact while learning a language and I believe that is an important link to have when learning a language. Face to face learning is a great opportunity to make a direct connection with students. After having read the article on Identifying and Addressing the Mental Health Needs of Online Students in Higher Education, it was truly an eye opening learning experience. It was quoted that “online educators need strategies for identifying mental health problems in their students, resources available to offer the distance student, and institutional policies addressing mental health and student performance”. I was reminded about the sometimes negative effects of online learning especially for students who are or who may be suffering with mental illness. At the school we have direct contact with our students and where educators can hand can tell if my students need guidance. Though if teaching online students if would be difficult to do so. I was reminded that if teaching an online class we must create a school atmosphere where students are encouraged to seek and ask for help. Author Krista GatesPosted on October 28, 2016 November 3, 2018 Categories Education and technology7 Comments on Learning from around the world!